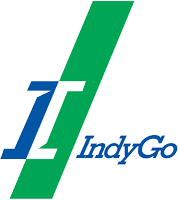 Supporters of a proposal to raise income taxes to expand mass transit in Indianapolis have at least 11 of the 13 votes they need to implement the hike. Only four city-county councilors have told IBJ or said publicly that they intend to vote no. Another four say they haven’t made up their minds. And six didn’t respond to IBJ’s request for comment. would enable the city’s transit system to buy more buses, hire more drivers, increase the frequency of pickups, and expand planned rapid-transit routes. Councilors are considering a 0.25 percentage-point increase in the local income tax rate, which would cost a taxpayer with a $100,000 salary another $250 per year. The tax increase is projected to generate at least $54.4 million annually starting in 2018. Already, Marion County voters have authorized the raise, but it won’t go into effect without approval from the City-County Council. One person who hasn’t weighed in publicly is Mayor Joe Hogsett. The mayor does not have a vote in council matters, but he can veto its ordinances. Hogsett’s spokeswoman, Taylor Schaffer, wrote in an email to IBJ that the mayor won’t veto the tax increase if it passes but he also won’t take a position on the proposal. Instead, he “has made clear to council leadership that they should listen to the message sent by their constituents,” she said. While Mayor Hogsett can, rightfully, be blamed for a lack of leadership on the issue, I'm not sure that's better than Republican Mayor Ballard who never saw a tax or fee increase that he wouldn't enthusiastically support. The problem, of course, is the bipartisan pay-to-play nature of Indianapolis politics. While taxes are often sold to the public as a way of improving public services, the extra tax money inevitably ends up in the pocket of government contractors and attorneys while the public service remains unimproved. A perfect example is Indianapolis having two large local tax increases to hire new police officers...and both times ending up with fewer officers. 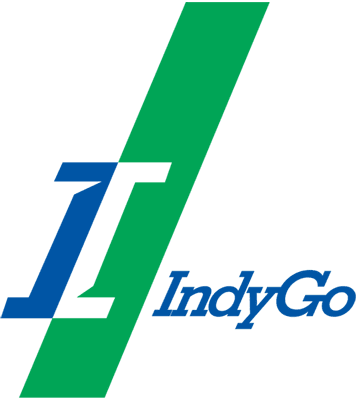 There should be little doubt that this large tax increase will do nothing more than, at best, marginally improving bus service in Indianapolis. The underlying "build it and they will come" theory of increasing bus ridership has been shown to fail in other cities. Rather increased transit spending works when the money is going to meet demand for bus service, not to try to artificially create that demand. The bus system has not done well in Indianapolis because the city is one of the least dense major cities in the country and travel by automobile is easy. That dynamic is not going to change with more transit spending. Paul, I long ago gave up on trying to work with my- or any- CC Councilor when it comes to tax increases and crooked Greg Ballard pig-in-a-poke special interest deals for which we hard working taxpayers are always on the hook. I've never heard such mealy mouthed, phony excuses as I had from my party and the so-called opposition party whose main function, it appears, has been feathering their nests and plotting non-stop for pay increases absolutely none of them deserve. Indianapolis is now saddled by a Democrat mayor with no spine and the attorney-trained mentality to cunningly straddle a fence almost as good as Jeff Miller. Indianapolis is cursed with the planet's worst city county council regardless if they are life long Democrats or newly changed to Democrat- you know, the party that founded the KKK and Jim Crow laws. Paul, I am going to take the advice a commenter gave me long ago on the Advance Indiana comment page. I am better off to move out of Indianapolis to another state where I can select a city that is at least somewhat more responsibly governed than Indy. Believe it or not, those types of municipalities do exist although they are just difficult to locate. Indianapolis is a lost cause. The Circle City is a hollowed-out county with increasingly failing neighborhoods surrounded by the contiguous more educated and more vibrant counties; Indianapolis is far more like Detroit than the fake press at IndyStar and IBJ will admit. The Democrats and the establishment Republicans long ago forged a mutually beneficial criminal syndicate that continues to this day. Republicans love taxes, just as long as it's not rich people paying them. Anon @ 5:12's ommission of the Democrat Party as a poltical machine that just as deeply and reverently genuflects at the Altar of Confiscatory Taxation Of The Common Workaday Person's Hard Earned Incomes is surely an unintentional oversight right? I mean, for real, no one could be so blind as to call the leftist Democrat Party as a champion for all the people after the last eight years. Now a party more of very wealthy, old white women (Clinton, Pelosi, Warren, Boxer, et. al), along with the deranged Chuck Schumer, Democrats could never be honestly portrayed as more brightness and light when it comes to their eagerness to target taxation upon the producers and hand out the stolen funds to the idle and non-legal. Welcome to most of Indianapolis/Marion County - am I wrong on these issues below? 1. Very slow to no police response for minor crimes or traffic accidents. 2. Ever-increasing utility bills to pay for antiquated water and sewer infrastructures. 3. Streets and roads with pot holes large enough to swallow compact cars that will continue to reopen every winter. 4. Panhandlers and beggars -- enough said. 5. Disappearance of outdoor furniture and any other items of value left outdoors. Delivery packages frequently stolen from front porches. 7. Increasing use of civil forfeitures to fund government functions. 8. Businesses closing up and moving to surrounding counties. 9. Property taxes skyrocketing at the same time property values declining. Indianapolis is every bit the failures and poor quality of life expereinces you delineate. Citizens know it. Professional bedroom community residents who travel in and out of the Circle City for their employment know it. The only ones who do not know it, apparently, are Democrat Mayor Joe Hogsett, his lackluster, insulated, crony entire City County Council, and the fake news organizations Indianapolis Star and IBJ. One does not live in Indianapolis. One exists in Indianapolis. Those who refused to tolerate Anon 0:26's 'Top Ten Reasons Indianapolis Is a Failed City' and could vote with their feet have already done so. The names Matt and Valerie Tully leap to mind. And it was all brought about by years and years of City County Council feckless political malfeasance and turned blind eyes and hands in the till of 'pay to play' by Marion County establishment Republicans and featherbedding Democrats (career Democrat or the newly switched). Anon 9:26. Of course you are correct, but as long as the cronies that control the purse strings, many of whom like the Simons and Irsays that live in Hamilton, and their lawyer water-carriers, have a "world class" downtown, everything is honky-dory. How will Scales & her soon to be new Democrat convert Miller vote on these public treasury looting schemes?